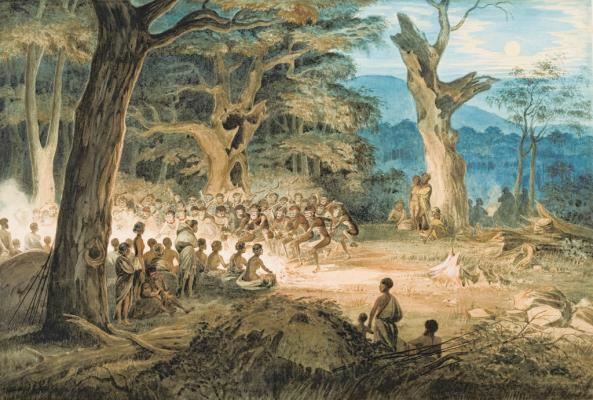 As with the rest of the continent, the region had been long occupied by Aboriginal peoples, who were organised into numerous tribes and languages. 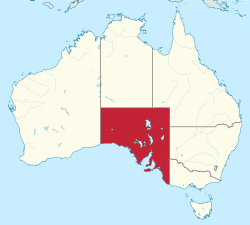 The South Australian Company established a temporary settlement at Kingscote, Kangaroo Island, on 26 July 1836, five months before Adelaide was founded. The guiding principle behind settlement was that of systematic colonisation, a theory espoused by Edward Gibbon Wakefield that was later employed by the New Zealand Company. The goal was to establish the province as a centre of civilisation for free immigrants, promising civil liberties and religious tolerance. Although its history is marked by economic hardship, South Australia has remained politically innovative and culturally vibrant. Today, it is known for its fine wine and numerous cultural festivals. The state's economy is dominated by the agricultural, manufacturing and mining industries. The state has an increasingly significant finance sector as well. On 15 August 1834, the British Parliament passed the South Australia Act 1834 (Foundation Act), which empowered His Majesty to erect and establish a province or provinces in southern Australia. The act stated that 802,511 square kilometres (309,851 sq mi) would be allotted to the colony and it would be convict-free. In contrast to the rest of Australia, terra nullius did not apply to the new province. The Letters of Patent, which used the enabling provisions of the South Australia Act 1834 to fix the boundaries of the Province of South Australia, provided that 'nothing in those our Letters Patent shall affect or be construed to affect the rights of any Aboriginal Natives of the said Province to the actual occupation and enjoyment in their own Persons or in the Persons of their Descendants of any Lands therein now actually occupied or enjoyed by such Natives'. 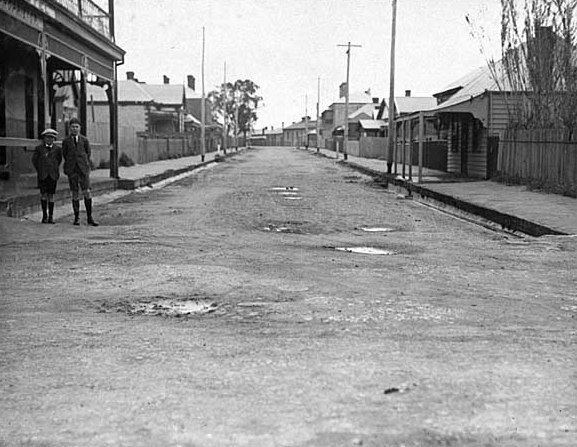 Although the patent guaranteed land rights under force of law for the indigenous inhabitants it was ignored by the South Australian Company authorities and squatters. South Australia fields two teams in the Australian Football League national competition: the Adelaide Football Club and Port Adelaide Football Club's. As of 2015 the two clubs are in the top five in terms of membership numbers, with both clubs' membership figures reaching over 60,000 in 2015. Both teams have used the Adelaide Oval as their home ground since 2014, having previously used Football Park (AAMI Stadium) as their home ground until 2013. The South Australian National Football League, who owns Football Park, is a popular local league comprising ten teams (Sturt, Port Adelaide, Adelaide, West Adelaide, South Adelaide, North Adelaide, Norwood, Woodville/West Torrens, Glenelg and Central District). South Australia's Association Football (soccer) team in the A-League is Adelaide United F.C. The club's home ground is Hindmarsh Stadium (Coopers Stadium), but occasionally play games at the Adelaide Oval. The club was founded in 2003 and are the season 2015/16 champions of the Hyundai A-League. The club was also premier in the inaugural 2005–06 A-League season, finishing 7 points clear of the rest of the competition, before finishing 3rd in the finals. Adelaide United was also a Grand Finalist in the 2006–07 and 2008–09 seasons. Adelaide is the only A-League club to have progressed past the group stages of the Asian Champions League on more than one occasion, making it the most successful Australian club in the International competition. Until the Western Sydney Wanderers won the 2014 Asian Champions League in their maiden attempt. Australia's premier motor sport series, the Supercars Championship, has visited South Australia each year since 1999. South Australia's Supercars event, the Clipsal 500 Adelaide, is staged on the Adelaide Street Circuit, a temporary track laid out through the streets and parklands to the east of the Adelaide city centre. Attendance for the 2010 event totalled 277,800. An earlier version of the Adelaide Street Circuit played host to the Australian Grand Prix, a round of the FIA Formula One World Championship, each year from 1985 to 1995.